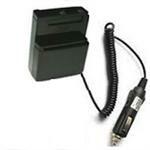 WC-34i : Plug-in Wall Charger for Kenwood HT batteries. Worldwide 100-240VAC input; output is 12VDC @ 200mA, center polarity POS(+). Plugs into MANY Kenwood HT radios, including: TH-F6A, TH-F7, TH-F6E, TH-D72, TH-D7A, TH-D7AG, TH-D7E, TH-G71, TH-79, TH-79A, TH-79E, TH-22, TH-42, TH-48, TH-28, TH-27, TH-78, TH-K2AT (worldwide versions of each model number). Perfect for travel use or home use. Slow-charges battery at rate prescribed by the particular radio. Exclusive product from BATTERIES AMERICA ! 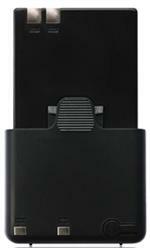 The PB-18WC is a plug-in Wall Charger for 7.2-volt batteries such as the Batteries America-brand PB-13xh & PB-18xh. Plugs right into battery. Typical charge time = about 8 hours. For big batteries that cannot be effectively charged thru the radio. 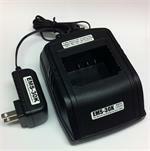 PB-2WC : Plug-in overnight wall charger for PB-2 & PB-2h KENWOOD-type batteries (Ni-Cd or Ni-MH). 110VAC in; Center polarity NEG (-). Re-charges battery in 7 - 18 hrs, depending on capacity. 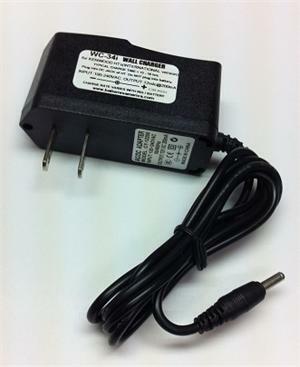 Special 15VDC overnight plug-in wall charger for Kenwood-type PB-37 12-volt packs . Charges up both the Ni-Cd AND the Ni-MH versions. The PB-8WC is a Plug-in slow Wall Charger for existing 12v Kenwood-type PB-8 packs that have a plug jack. (Current production now does NOT have the plug jack; prior models may have this feature. Charger output is 15VDC, essential for the 12v packs. 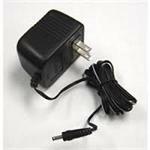 The WC-BT32 is a plug-in overnight wall charger for the BT-32 case, when 6 x AA RECHARGEABLE cells are used. Charges Ni-Cd or Ni-MH cells @ 250mA/Hr. Not intended for use with Alkaline or other non-rechargeable cells. 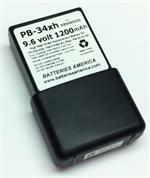 The WC-PB-38h is a custom Wall charger for the Batteries America brand PB-38h 7.2v Ni-MH battery pack. Input: 110-120VAC 60Hz. Output: 9VDC 250mA. Plugs directly into battery pack. Charges battery overnight. 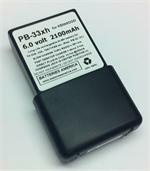 The PB-26WC is a plug-in overnight Wall Charger - for Batteries America-brand PB-25-26 and PB-25s-26s battery packs. Also re-charges original PB-25 & PB-26 (typically rebuilt by now). Re-charges battery in 8 - 16 hrs, depending on capacity. 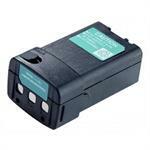 KNB-31 : 7.5 volt 1700mAh Ni-Cd battery for Kenwood TK5310, TK5210 etc. 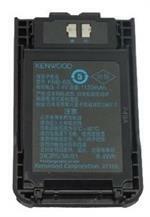 KNB-31 : 7.5 volt 1700mAh Ni-Cd battery for Kenwood radios - fits TK5310, TK5210, TK5410, TK2180, TK3180, NX210, NX410. 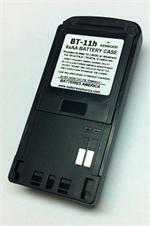 PB-17xh: 12 volt 1650mAh high-capacity Ni-MH battery for KENWOOD radios. Fits models such as the TH-78A, TH-78E, TH-48A, TH-48E, TH-28A, TH-28E, TH-27A, TH-27E, etc. Replaces PB-13, PB-14, PB-17, PB-18, etc.